Why are you renting your home as a short term rental? If your "why" is to make a little additional income you might consider closing off your calendar each month after you get a few bookings. This will keep you from getting tired of cleaning and burned out. You will want to clean and prep for guests yourself instead of contracting with a cleaning service as this will save you money and help you to reach your monthly money goal faster. If your "why" is to meet people then consider how many people you want to meet and limit your number of bookings to the quantity of nights that fits your lifestyle. You might want to start off slow and increase your availability as time goes and you become comfortable with hosting. If you enjoy going out on the town with friends on a Friday night, you might consider blocking off Fridays so as to keep your lifestyle. 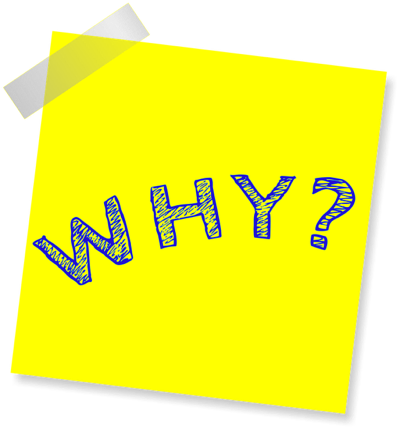 If your "why" is to make as much money as possible then there are many things you should consider. First, you will want to be available as much as possible, so you will need to have welcoming, cleaning and maintenance worked out prior to accepting guests. How are you going to welcome your guests? Some hosts simply have a lockbox with a key inside. While this works very well for whole house rentals, many hosts who rent rooms prefer to welcome guests in person as a last line of defense to hosting a bad guest. If you work a job you may find that you are limited in the times you can meet guests. The more strict you are on arrival times the fewer guests you will book and the more opportunity for a guest who did not read your house rules entirely to become upset before they even get inside the home. Some hosts are fortunate to have friends or relatives who can step in to welcome guests on an occasional basis. The time it takes to clean after guests depends largely on the size of the space as it pertains to the number of beds and bathrooms. Figure about five minutes to strip and change the sheets on each bed. A bathroom will take about ten minutes to clean and disinfect thoroughly. General cleaning of a bedroom or living area is between five and ten minutes per room depending on size, carpet or tile and the number of items that need dusted. A kitchen can take up to twenty minutes if dishes were left dirty. A load of laundry using a new high-efficiency washer will take about an hour. Figure one load per bed (sheet set, pillow cases, two towels, two wash cloths and a hand towel). Our three bedroom home takes three loads and (without a high efficient washer) takes two and a half hours if loads are swapped immediately on completion. The home takes about three hours to clean between guests. More guests mean more wear and tear and more things tearing up so you will need to have contingency plans in place for a maintenance issue. Having a general handyman on call may be your ticket to success. If you are on vacation yourself or at work it will be very difficult for you to locate a plumber or electrician at a moment's notice. Be sure to have the handyman conduct a walk-through of your home so they are familiar with the structure as well as how you desire to have repairs completed. One other aspect to consider for the full-time host is the quality of the furnishings. Cheap furniture will break sooner causing additional maintenance issues that must be handled immediately. A full time host should stock their home with well-built furniture, electronics and other equipment to reduce future headaches. So we've looked at three reasons people are in the hosting business- to make extra money, to meet people and to operate a business with full income. Your "why" may differ from one of these reasons and that's OK. The main take-away for this article is that you determine your "why" and make sure that your business plan and model fits that "why" to prevent burn-out and increased frustration because the business is not going the way you think it should. My "why" is to make money.